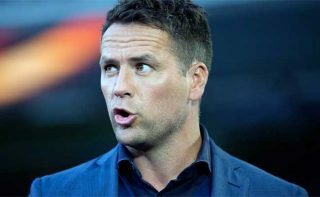 Michael Owen has accused Manchester United manager Jose Mourinho of failing to improve the attacking talent at his disposal. The former United striker even states that Paul Pogba would be “the best player in the world” under Sir Alex Ferguson. Mourinho enhanced his reputation down the years on the ability to build success from the back, but his United defence has been woeful and over-reliant on the services of David de Gea between the posts. Issues across the field of play have contributed to a four-match winless run, with reports of disputes away from the pitch doing little to help Mourinho’s cause. World Cup winner Pogba is among those to have been dragged into a distracting series of rows, not always helping himself, but the Frenchman is considered to be failing to reach his potential as a result of having the wrong manager guiding him. Owen told the Daily Star: “I think he’s a great player, although I find it quite frustrating watching him. Considering his age he ought to know a lot more and play a lot more maturely than he does. Owen believes Mourinho must shoulder much of the blame for United’s current form after spending big money to bolster the Reds’ ranks since he took the reins in 2016. He added: “I’m convinced a manager has got so much importance to how the team plays. “It’s no coincidence that with United, it doesn’t matter who they sign. “I said at the time with Sanchez, he would be a far better player at Manchester City and it’s turned out to be correct. I’m convinced managers are hugely influential. “You could put an average player in Pep Guardiola or Jurgen Klopp’s side and they would look world class because of how they play and who they play alongside. “Without naming names you could look at lots of players in those two teams who are only okay and all of a sudden people are calling them world beaters.